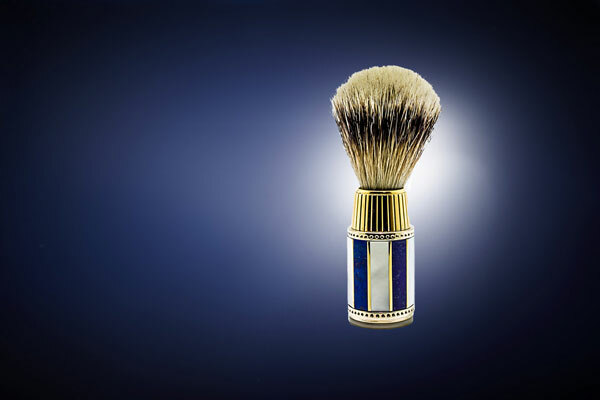 1 base, 1 razor and 1 shaving brush. 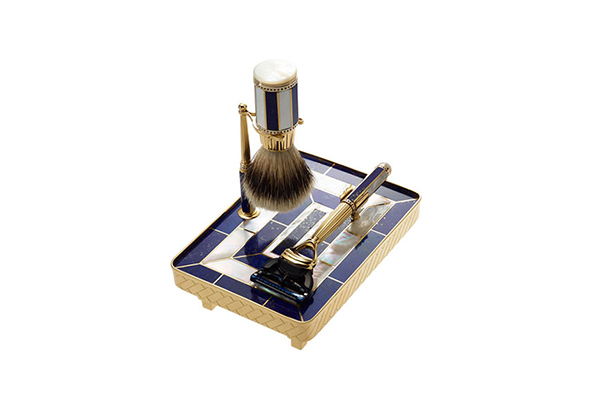 1 base in 18 karat yellow gold with Guilloché engravings, upper mother-of-pearl and lapis lazuli mosaic, brush and razor supports with mounting for precious stones. 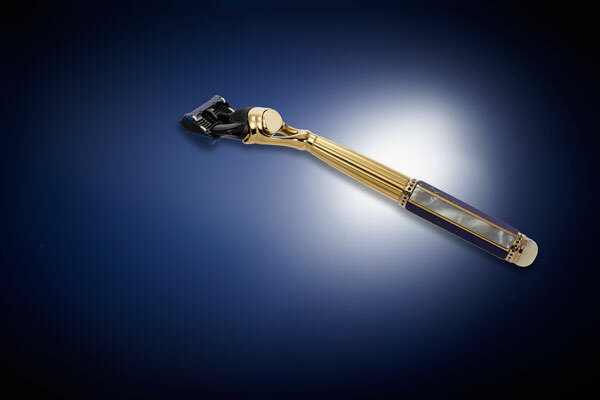 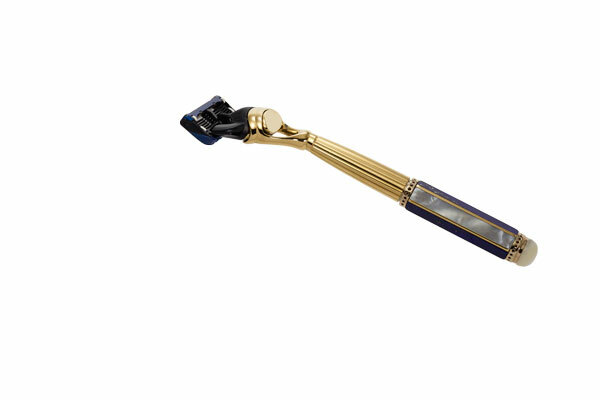 1 razor in 18 karat yellow gold, mother-of-pearl and lapis lazuli base, white gold mounting for precious stones. 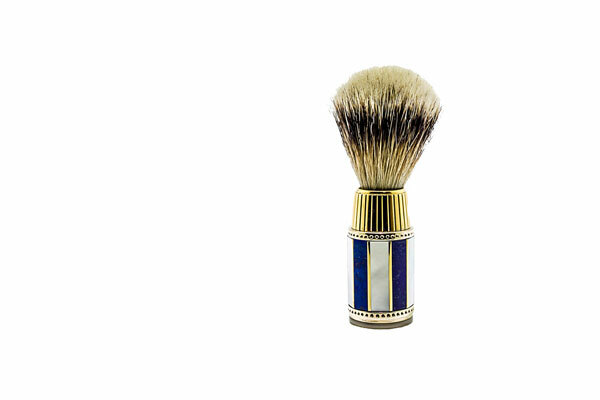 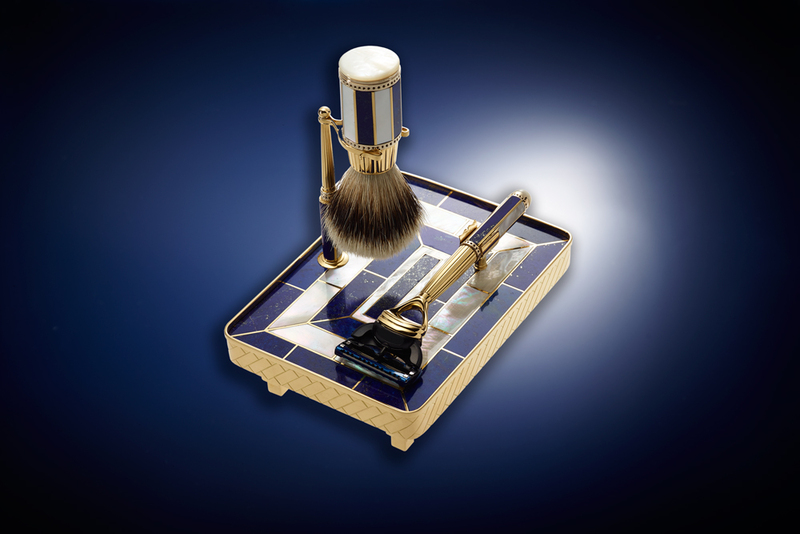 1 shaving brush in 18 karat yellow gold, mother-of-pearl and lapis lazuli base, white gold mounting for precious stones.